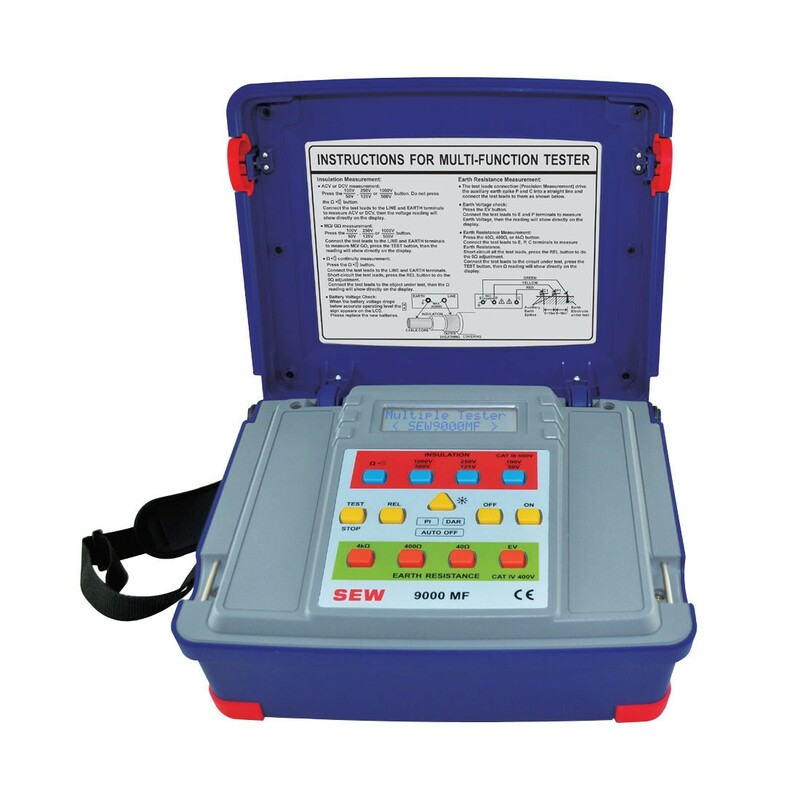 9000 MF multi-function tester is a combination of insulation tester and earth resistance tester. Continuity short-circuit current > 200mA. Continuity open circuit voltage > 4.1V. Maximum insulation range 8GΩ ( 8000MΩ ) at 1000V. Auto ranging on all insulation ranges. Continuity range : 2000Ω and 200.0Ω (auto ranging ). Test frequency of earth resistance measurement : 128 Hz. 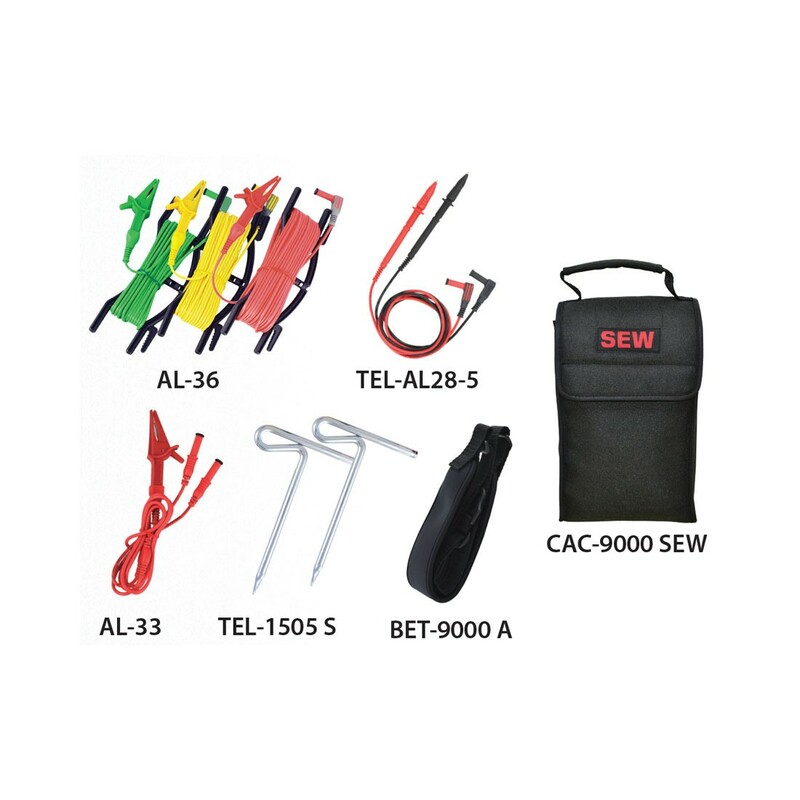 Earth resistance measurement for 3 ranges : 40Ω / 400Ω / 4kΩ. Earth resistance resolution : 0.01Ω / 0.1Ω / 1Ω. Earth voltage measurement : 400V. Auto-null ( Relative mode ) function.